First up, we have an interesting crossover act hailing from the distant shores of Norway going by the name of Gothminister. They’ve apparently, despite their Norse heritage, gained quite a following on Teutonic shores (likely much akin to Spain’s late lamented horror punk act The Killer Barbies, who also came to fame and prominence in Germany, mainly on Gothminister’s former label Drakkar), and have released 4 albums before moving to AFM for their latest release Utopia. Named after the nom du guerre of vocalist Bjorn A. Brem, they all adopt absurd pseudonyms: “Turbonatas” (read the last half backwards) and “Icarus” (whose greasy blond locks and identical poses make them appear to be two shots of the same person, a page apart) on guitars, and the hilariously named “Chris Dead” on drums (let’s all pick a pseudonym – we’ll all just use our first names, then add a ‘scary’ word from our Halloween dictionary as a descriptive adjective! John Ghost! Fred Jack O’Lantern! And Pete Cackling Witch!). They have a whole zombie motif going on, and an appropriately Alice Cooper/W.A.S.P./Lizzy Bordenesque stage show, so if Brem’s laid back offstage persona didn’t give enough of a hint, it’s all in fun. While bemused by the cheesiness of all this, I do carry a sort of teenage affection for this sort of thing, so take my dripping sarcasm in the appropriate light – as long as the music’s decent, I’ll take a good stage show and silly act ala Ghost over the standard death/thrash metal/punk style ‘jeans and t-shirt with no gimmicks’ delivery any day. 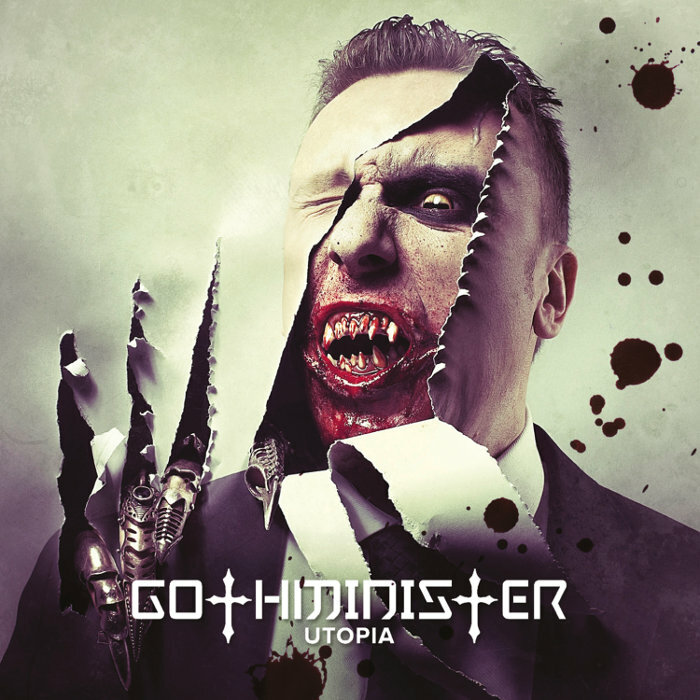 Bearing some lineage to industrial acts like Rammstein and even NIN, Gothminister infuses their music with a very melodic gothic metal feel, vaguely akin to the likes of Nemesea, Delain or more recent Sirenia. The vocals are a bit offputting and odd, falling somewhere between Scottish gothic industrial obscurities Secession (of “Sneakyville” and “Touch” fame) in the deep Peter Murphyesque baritone sections and the aforementioned Rammstein and BiGod 20 in the more industrialized/growl-shouted parts, but coming off more choked and constipated than any of those acts ever sounded. You do get the impression they were shooting for something a dash loftier at points, as in “All Alone”, which carries a dash of King Diamondlike storytelling flair to it. But the far more simplistic (if admittedly catchy and melodic – we’re not talking standard industrial style “metal machine music” here) sound they’re going after brings more of a Marilyn Manson feel to the proceedings (particularly when anyone actually cared about the guy, circa Antichrist Superstar). The album does come with a DVD, so you do get a good taste of what appears to be the band’s true forte. While not exactly the sort of visual drama that an act like Gorgoroth brings to their Krakow performance, or the lesser but still interesting Watain to their Opus Diaboli, this should certainly appeal to anyone who gets a kick out of this sort of smoke and mirrors stage show (myself counted among that distinguished number). The DVD is also bookended by a longform video “movie” that sadly enough appears to be better written and more well directed than numerous “actual” modern films of the type that I’ve seen. I’m unsure whether this says Brem and director Daniel William Bones (another pseudonym, presumably…) are just THAT good, or (more likely) that what passes for a “director” nowadays would have been considered unfit to fetch coffee for real directors from the heyday of exploitation and horror. Regardless, I certainly enjoyed it, and kudos to the band and director for their above average efforts here, for what is after all just the setup to a concert DVD. In the end, it’s pretty unlikely I’ll be pulling this album out often – it’s a bit too Ministry for me, and the only song I ever loved from that hoary act was “Every Day is Halloween”, so you get the idea of where I stand on the whole Skinny Puppy/Throbbing Gristle/Spahn Ranch thing in general. 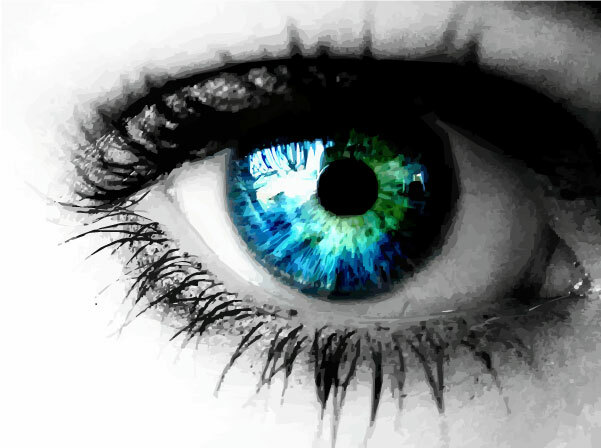 But it’s definitely catchy, and should appeal to those interested a more harmonically appealing take on the template. Further, the DVD is certainly more than entertaining and merits at least a seasonal viewing in the general environs of All Souls Day (or Samhain if you prefer). 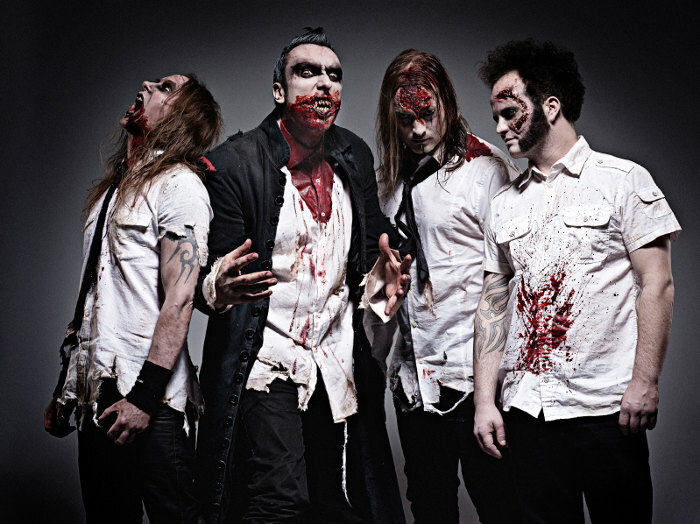 Zombie, industrial and more adventurous metal fans who appreciate a slice of welcome cheese with their sandwich are hereby strongly directed to the attention of Herr Behm and company. 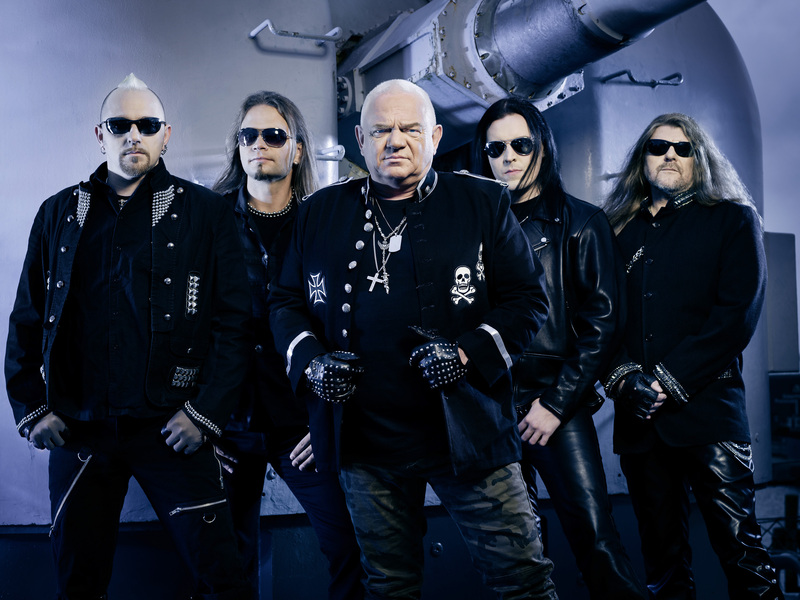 It probably comes as no surprise to longtime fans that at the ripe old age of 61, when most folks are happily retired and whiling away their time on a Palm Springs or Florida based golf course, Teutonic metal veteran Udo Dirkschneider is still plugging away at what he does best. In surprisingly fine form for a man whose vocal style can best be described as gargling glass, we spoke with the man himself recently about his long career with both the legendary Accept and his longtime act U.D.O. 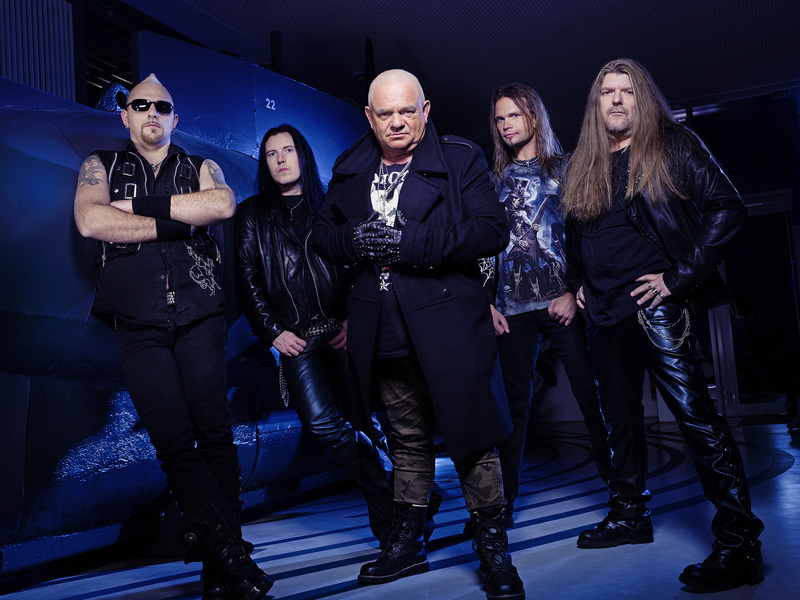 Only recently losing longstanding co-conspirator and fellow Accept alumni Stefan Kaufmann from the ranks, Udo retains bassist Fitty Weinhold and drummer Francesco Jovino, while adding young guitarists Andrei Smirnov and Kasperi Heikkinen to the mix. While neither seems to stand out from the current crop of metal shredder types in any appreciable way, they do offer a dash of lead guitar flash to the solo sections and infuse a modicum of youthful vigor to the proceedings. 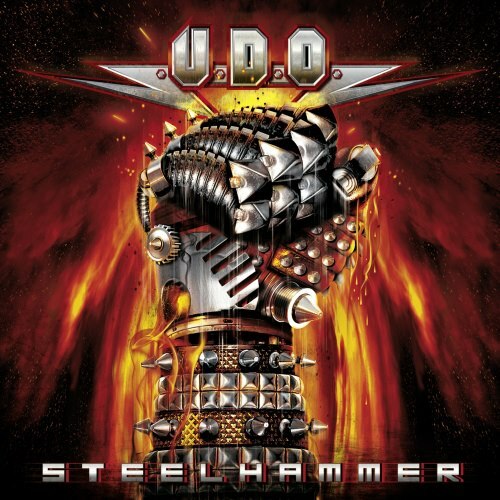 Thankfully receding into the background are the nu-metallish industrial flourishes Kaufmann was apparently inclined to bring to the table, leaving listeners with a prime slice of U.D.O. for perusal. Sounding more fit and in form than the band has in years, Steelhammer brings memories of better days, and albums like Holy or even the unimpeachable Animal House to mind without truly hearkening back to those classic slabs of molten goodness. Ultimately a more energetic and well rounded album than he’s released of late, Steelhammer still fails to have those all important key tracks to hang its hat on. The title track is aggressive and pounding, and ‘A Cry of a Nation’ is midtempo with big Warlock/Acceptesque choruses and a nice if not exactly standout melodic solo. There’s a song entirely performed in Spanish (‘Basta Ya’, which I believe translates loosely to “hold your horses” or “wait up”), and even a ballad – not a power ballad, mind you, a straight up ballad – called ‘Heavy Rain’ (no relation to the videogame, presumably) that falls somewhere between Broadway and psychedelic era Beatles. ‘Death Ride’ is a bit more familiar in tone, and both ‘Stay True’ and ‘When Love Becomes a Lie’ prove to be the strongest tracks on the record by far. The former is a typically straightforward U.D.O. headbanger featuring some pivot note guitar phrases enlivening the bridge and one of the albums more notable solos, while the latter is a classic 80’s style midtempo near-power ballad falling somewhere between Accept’s ‘Neon Knights’ and the Scorpions’ ‘When Passion Rules the Game’. And if there were one moment on the entire record where I can say I perked up and took note of the guitars, this track was it, ending on a powerful if not incredibly flashy outro solo section atop Dokkenesque vocal harmonies. If I were sequencing the album, these two tracks would have fallen right up front, either preceding or immediately following the title track – and this would have probably left a better taste in the mouth, and a feeling that this was a far stronger album than it actually proves to be. Unfortunately, it ends on one of the weaker tracks (‘Book of Faith’), and tends to falter in the midsection (fair but unspectacular tracks like ‘Devil’s Bite’, ‘King of Mean’ and ‘Take My Medicine’ don’t exactly allow the surprised listener to regain their footing after the aforementioned experimental tracks ‘Basta Ya’ and ‘Heavy Rain’). I’m sure this one will remain in rotation for some time, and grow on me more with repeated listens – but it’s not quite what I was expecting either, so I can’t commit entirely to the cheerleading squad at this point. In the end, it’s an U.D.O. record, and a surprisingly strong one, particularly by comparison to the more industrialized tones of RevRaptor, Dominator and Mastercutor. If you know and love the man, you know what to expect, and yeah, you can expect more of the same, even a bit beefed up by a welcome injection of new blood. While it loses some of the authority and force of Kaufmann and Gianola (check out their excellent Live from Russia for some prime examples, though the two were together all the way from 1999’s Holy through last year’s Live in Sofia), it does make up for it with some mildly flashier stylistics, an increased focus on harmony vocals, and a dash of piss and vinegar that only a pair of new kids on the block can deliver. Hopefully the next round will boast more tracks along the path being blazed by ‘When Love Becomes a Lie’ in particular – but for now, this will certainly do.